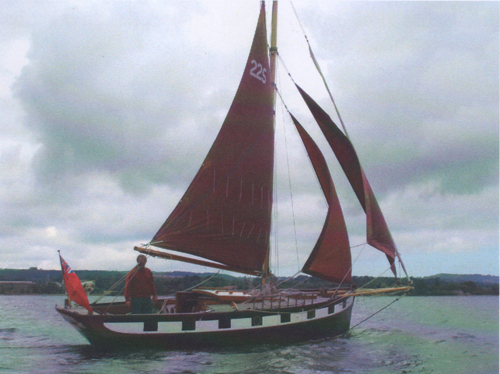 This is the ideal opportunity for people with less sailing experience to enjoy living aboard a classic boat, and learn about 'Gaff Rig' sailing. The ideal of soft charter is to allow couples or small families to live aboard as if the boat was their own, the boat would be safely on its mooring and the only requirement would be the ability to row in a dinghy to and fro to the shore. The boat is skippered by Roger, and daysailing and instruction on Gaff Rig sailing will take place each day (weather dependent).